Wet, sticky snow, the Inuit undoubtedly have a word for it - the kind that sticks to things like Velcro, turning everything into a reverse negative of itself; that's the stuff we've got here this morning. Everyone is sick of it by now, although it's beauty is undeniable. I love the silence as it falls, a testimony to the temporary state of noise and the timelessness of a vacuum. We're living inside one of those magical crystal balls again, but we've had enough, thank you. Send it to the Wilkinson Ice Shelf, which is in danger of falling off and adding fuel to the fire of a warming planet. Maple syrup producers are happy; snow cover in March delays budding on the maple trees. Last winter there was no snow to speak of and the maples budded in early February, drying off the run of sap. The snow insulates the roots, keeping them cool, the way it's supposed to be, apparently. But we used to plant out our potatoes by St. Patrick's when we lived in West Cork. We want to dig, smell the beautiful rich smell of black earth as the spade turns it up. We have some leggy leek and cabbage seedlings on the kitchen and dining room windowsills, some potato seed in the basement in a couple plastic Walmart bins with holes punched in them for air. Everything's primed for spring, but old man winter ain't giving up that easily, this year. Good for him, I say. Deep down I'm always sad when the last of the snow goes. It makes me think of Frosty the Snowman melting. Even though I know he comes back again some day, part of me isn't ready for goodbyes. Went out for a run after work today. Still a foot of snow on the ground. 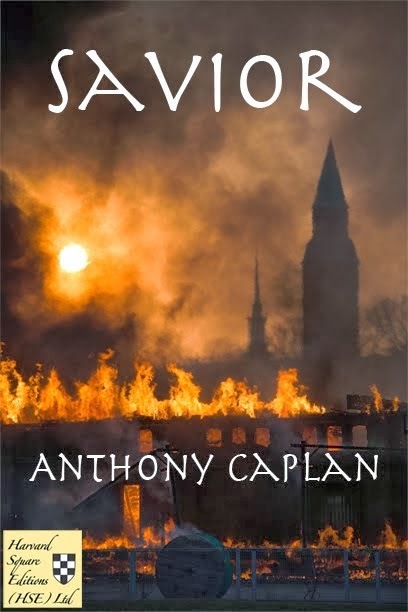 Thought about the story I'm working on at the moment, how to layer the plots so one frame, the abduction, fades out, as the survival frame takes over - the relationships among the various people who have been kidnapped by the terrorist, the unlikely heroism, etc. Need to include a character, maybe a woman who is a struggling artist dealing with issues of personal identity and authentic expression. Maybe she can be found at a gas station, an unlikely situation, while they are on their way north to Vermont. I find that I have very clear ideas of plot and character development often while I'm running and then by the time I have a chance to write them down they have usually faded. Still, all it takes is a couple of notes usually jotted down at the top of the page I am working on to jog my memory later, sometimes weeks or months later while I am rereading or editing. Ordered seven different types of scionwood, a total of eighty trees to be grafted and eventually planted out, our small apple orchard, from Fedco in Maine. They should arrive sometime in April, about the time I have a break from teaching for a week. By then the lambs will almost all be born also. Stay tuned for pictures. The Icelandic ewes we have, this is our fourth lambing season, are very self-reliant and have never had difficulties birthing, although our oldest ewe, Sadie, developed mastitis and had problems nursing last year and we had to put her down. A cruel business, but not as harsh as watching her lambs die two years in a row. We tried bottle feeding, but it was not enough to keep them healthy. Promotion for French Pond Road continues. The print edition should be out sometime soon after some technical glitches with the cover and then available through the website and Amazon. Watch this space. Home sick from work with the flu; with four feet of snow outside by the woodshed, it hardly feels like spring is anywhere near. Not much writing lately either, which always maks me feel down. Just read Timothy Egan's opinion piece in the NYT with St. Patrick's day around the corner, typically maudlin view of what constitutes identity. The soul of suffering is universal and not endemic to any race or people. But it is what makes us tick, therefore I welcome my sickness and yesterday felt almost alive walking up hill against the wind, feeling the shivers down my back. I couldn't get warm. Then my son Michael came running up the hill after me and when i turned and saw him coming, I realized my self-pitying was selfish and I needed to reach out and I did as he ran by. 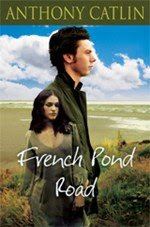 Glad to see French Pond Road available on the Kindle at Amazon. The wave of the future is here my friends. Ernest Hebert, venerable dean of New Hampshire writers, has one. See The Valley News, Wednesday march 12 edition.